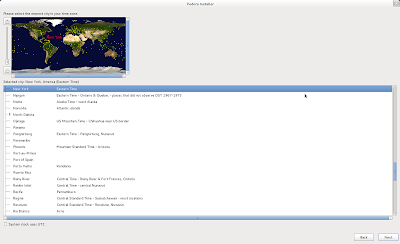 You might encounter error while running nautilus or Real Player from the terminal. 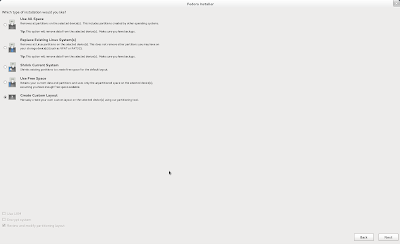 Listed below is a list of error message and the packages I installed to resolved the gtk warning. This installation guide has been tested for Fedora 16. You should be downloading a file "RealPlayer11GOLD.rpm"
Before installing the rpm file, you need to install additional libraries. Although you could install and run Real Player, please be aware that this is a deprecated product and there will be no security updates. Use at your own risk. I've created a script that could detect the rpm file and perform all the pre-installation setup. 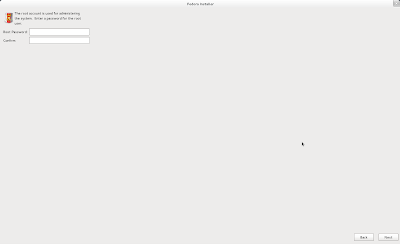 You can down the file fedora-real-player-install here. Before running the script, you need to download the rpm file and place it on the same place as the script file. You should have no problem playing Real media files. Listed below is some common problem when playing Real Player. In the Real Player, go to Tools >> Preference >> Hardware and toggle with "Use XVideo". Usually the video works when the XVideo is NOT CHECKED. Under Tools >> Preference >> Hardware, toggle the setting "Force stereo playback". In some situation, audio works by un-checking "Force stereo playback". Alternatively, switch ALSA audio driver with OSS driver. 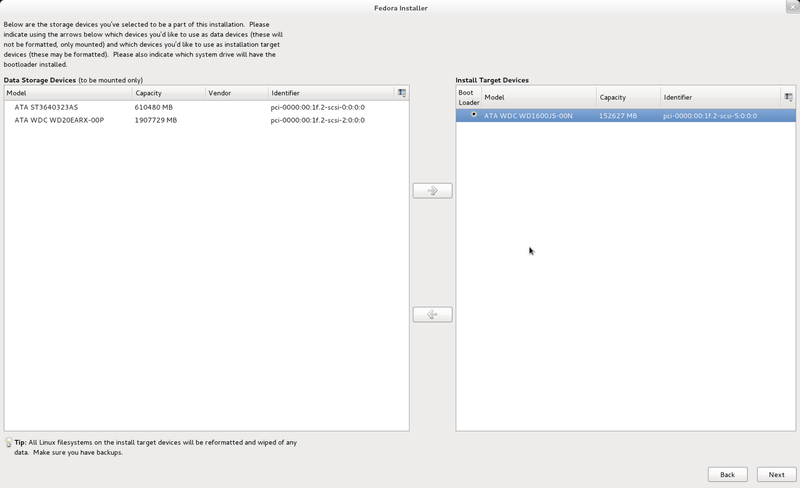 This installation procedure can be applied to both Fedora 15 and Fedora 16. If you had follow my post before and confident with my script, you can scroll down to the bottom of the post and download the script. The script will automatically download, configure and install VirtualBox. I've created an automation script that perform the previous steps and install the latest version of VirtualBox. You can download this script FC16-vbox-install-noarch. If you prefer to install the older version, you need to modify the script. This is the installation guide for installing Fedora 16 Desktop Editions. 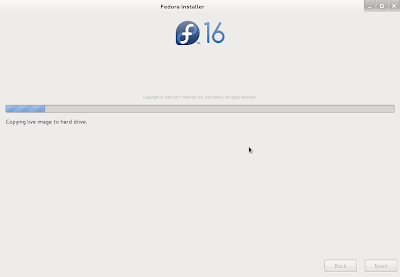 This installation guide is similar to my other post on Installing Fedora 16 on Virtual Machine (VirtualBox). However, this guide has an addition section that discuss in details on creating and customizing hard disk partitions. I've tested this version of Fedora using a Core 2 Duo Intel based computer with 4GB in RAM. This computer also has a basic NVIDIA graphics card with at least 128MB of RAM. 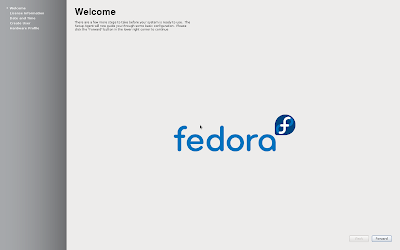 You can download the latest version of Fedora at http://fedoraproject.org/en/get-fedora-options. 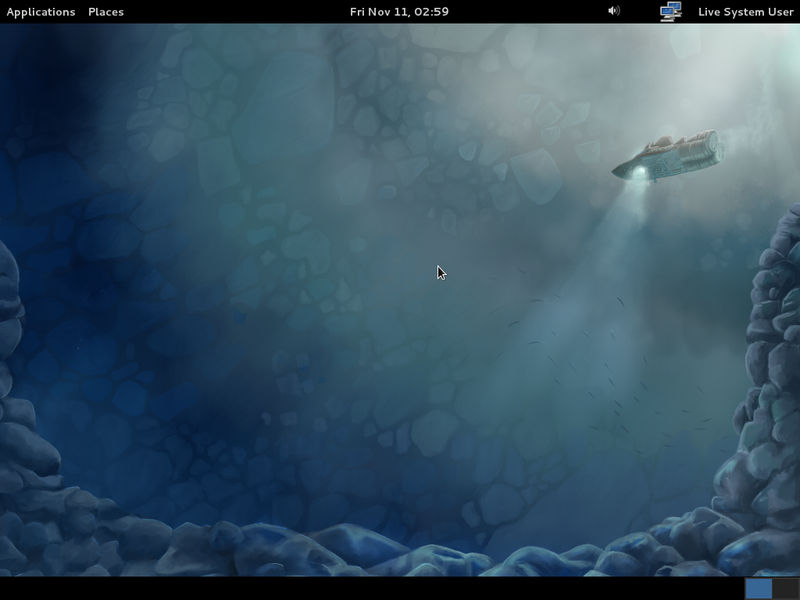 Under Fedora 16 Desktop Edition 64-bit, click download now. You will download a disk image named "Fedora-16-x86_64-Live-Desktop.iso". Burn this image to a blank CD or DVD. Please search the web for how to burn a disc image to a CD/DVD. 400MHz Pentium Pro or better. 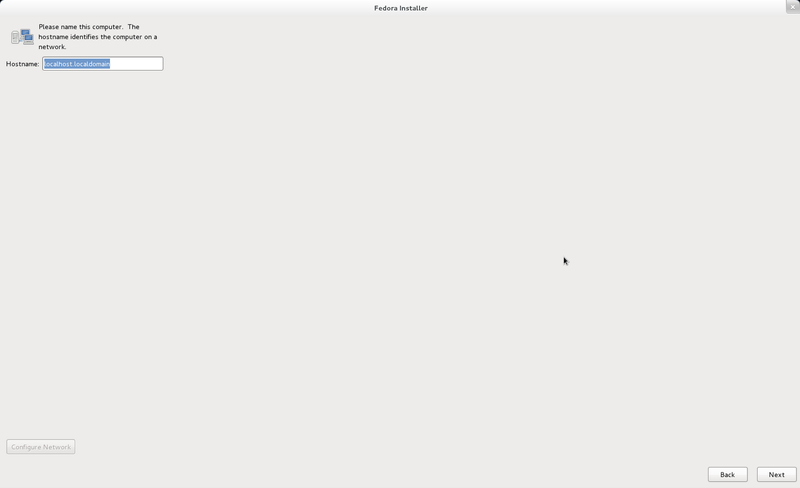 You can use the more comprehensive installation guide provided by Fedora. There are also many documents, HOW-TO and installation guide at http://fedoraproject.org. Finally, you can search the web for answer if the previous options does not provide you with satisfactory answer. 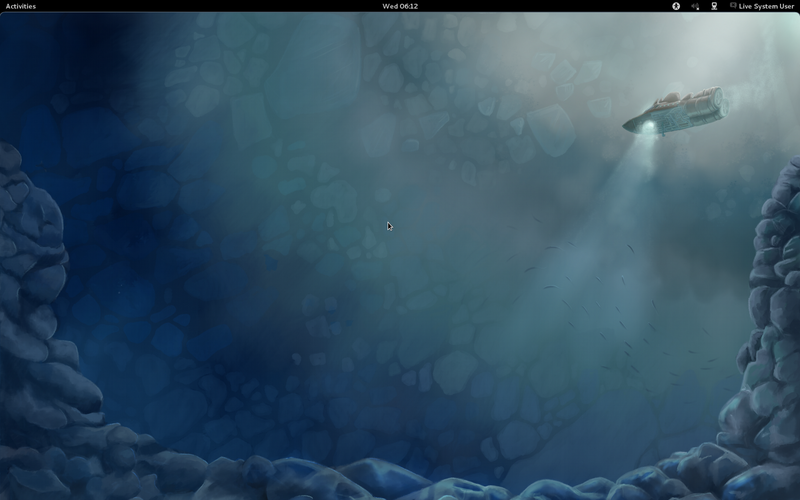 A number of core system improvements including GRUB 2 and the removal of HAL. An updated libvirtd, trusted boot, guest inspection, virtual lock manager and a pvops based kernel for Xen all improve virtualization support. For further information please check out Fedora 16 Release Notes. To start installation, select Applications >> System Tools >> Install to Hard Disk. The first screen appears and you need to select the keyboard. Select the keyboard you prefer, otherwise use the default "US English". You can change the host name (Network name that identify this computer) to something more meaning full or you can leave it as default. Select the suitable time zone. Click next. Now, you have to enter the root password. Click next when done. This is where you configure disk partitions. Before I proceed with the instructions, I would like to discuss how Linux and Fedora configure its drive. Boot partition - Fedora recommend a boot partition (/boot) with at least 250MB. 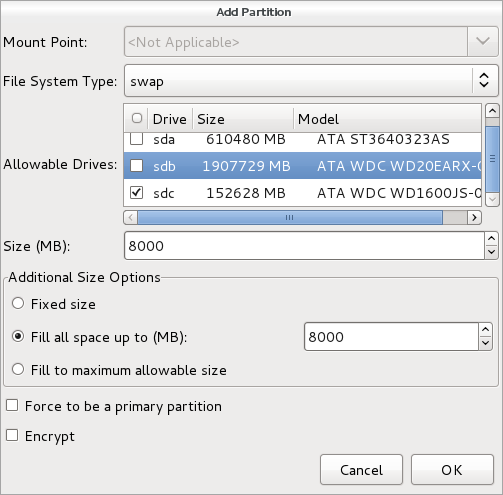 Swap partition - this partition is used as an extension to the existing system memory (RAM), the recommended partition size varies with your system memory. 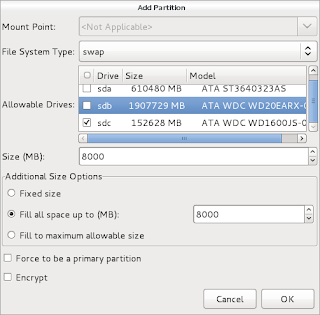 Listed below is the official recommended partition size for the swap file. Personally, I would recommend the partition to be twice the memory size for system with 4GB of RAM or less. If you have more than 4GB of system memory (RAM), you can use the partition size recommended in the table. Root partition - the root partition (/) is where all other system files located. Fedora recommend at least 3GB to 5GB. Home partition - Fedora also recommends that you separate the system partition. where all the system files and program files are located, with home partition (/home) where users kept their data. 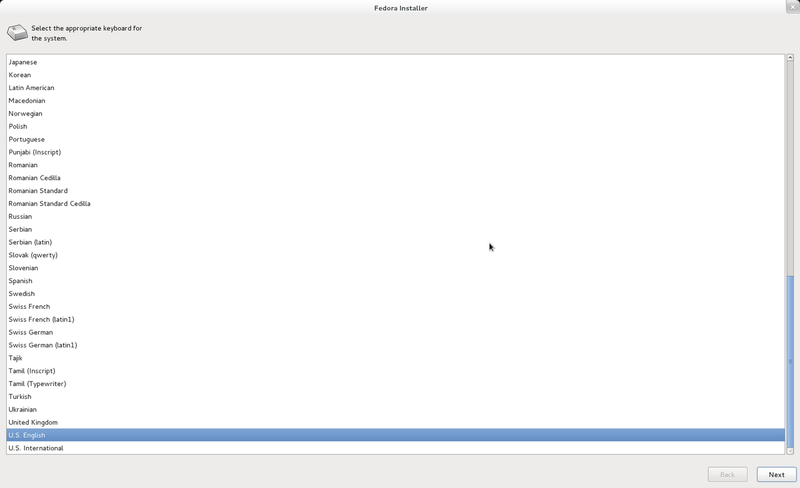 The size of this partition depends on how many users are using the system and how much data you use. I would recommend you take up the rest of the disk space on this partition. There are some addition consideration such as LVM Mode and boot loading which is explained below. LVM mode allows user who uses multiple hard disk, to link all physical hard disks together so that it appears as a single logical unit. It is similar to volume disk in Windows operating system. 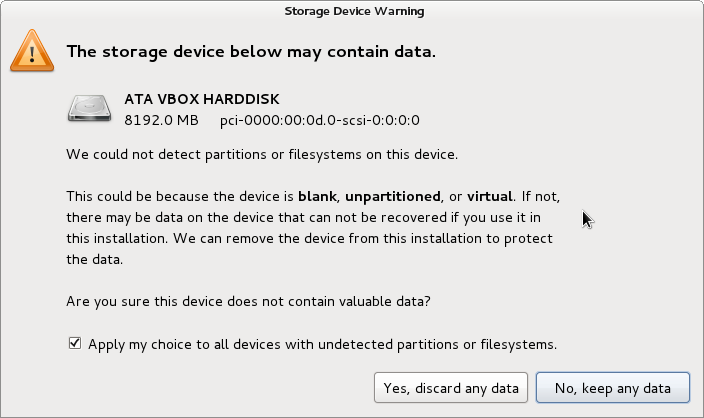 For a system with single hard disk, you would not benefit from LVM mode even if you've enabled them during setup. Please note that that you should not add an removable hard disk to the same volume in your system because your removable hard disk will lost the ability to move. Please be aware that when you add multiple hard disk to single volume, any problem with one of the hard disk or the file allocation table will affect all hard disks under the same volume. You would not able to retrieve data even if the second disk is perfectly fine. LVM mode is more suitable for server environment where any additional hard disk can be added to the same volume without partition configuration. Although Fedora enable LVM by default, I prefer not to use them. For boot loading, Fedora traditionally configures the boot loader into the first hard disk that contains the master boot record. If you have a Windows operating system installed on the first hard disk, by default Fedora will configure the boot loader on the first hard disk. This allows users the flexibility to choose which operating system to use during system booting. There is one disadvantage, if for some reason, your first hard disk which contains Windows OS failed. You would also lost the ability to boot into Fedora because the boot loader is configured in the first disk. Personally, I would prefer the boot loader to be configured into the same physical disk drive. Linux operating system named you first hard disk as sda, second hard disk as sdb and so on. 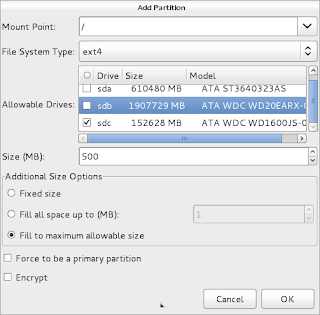 Within each disk, the partitions are labeled as sda1, sda2 and so on. After you have decided how you customize the partition or you prefer the system handles it for you, we can proceed with the configuration. If you prefer to let the system configures the disk partition for you automatically, you can select "Use All Space" or "Use Free Space". If you are override an existing installation choose "Replace Existing Linux System". For user who want to customize disk partition select "Create Custom Layout". Un-check "Use LVM" if you do not want to use LVM mode. Special Note: Please note that if you prefer to create custom layout and wishes to set the boot loader to hard disk other than the first hard disk, there are additional steps required. You need to select "Replace Existing Linux System" and select the hard disk the boot loader should use and click "Back" again to continue with custom layout. In my case, I've select "sdc" to be my boot loader. Select "Back" to the previous screen. 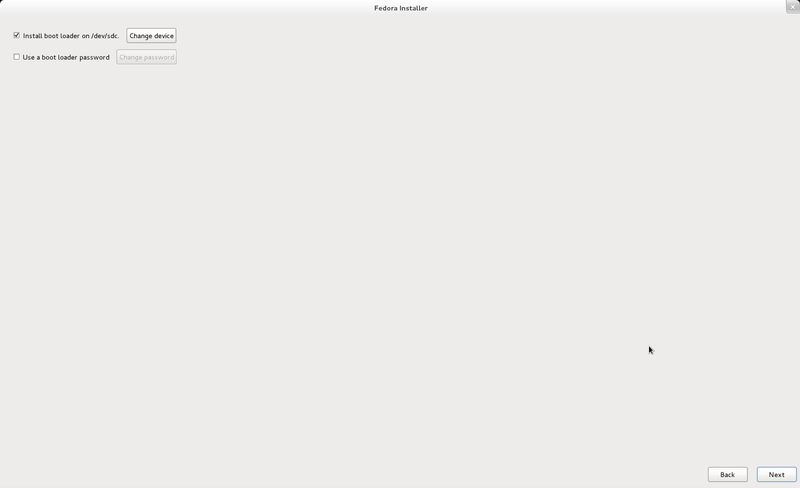 Then select "Create Custom Layout" to customize disk partitions. Then, the same screen appears again and you need to select the target hard disk to the right. 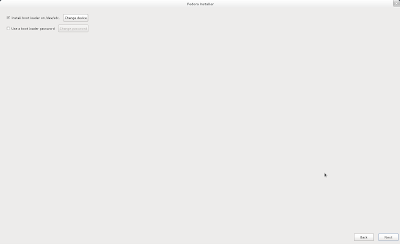 Please note that this screen will not appear if you choose create custom layout in the first place. It will only appear after you choose "Replace Existing Linux System" and set a target and go back. Click next after you have chosen the target disk. 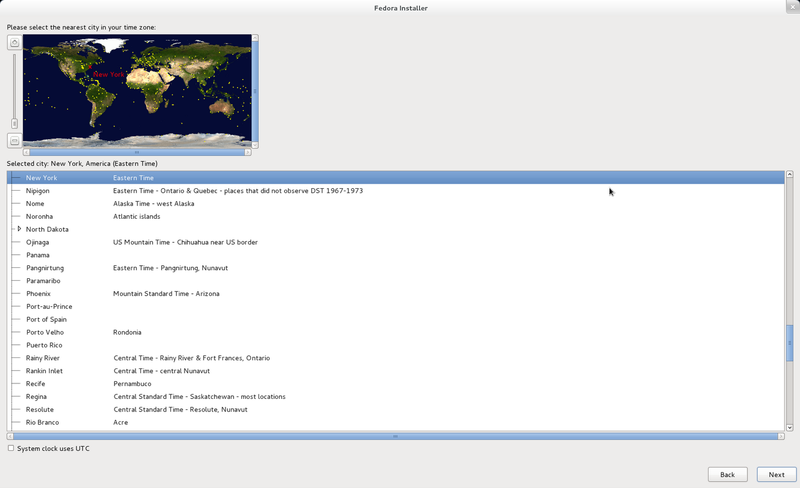 The screen below shows the summary of each physical disk and its partition. I will be installing in the free space (80GB) in sdc. To create disk partition, select "Create". Select "Standard Partition" since I do not use LVM volume. This is the configuration of the boot partition. The rest of the partitions configuration is listed below. 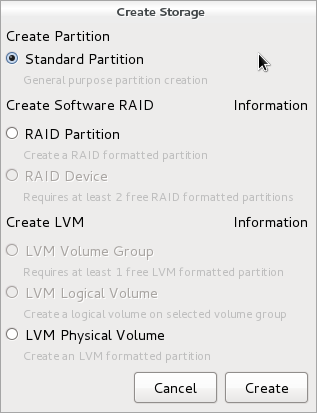 Once you have created the partitions, the summary tables will display the details with a tick indicating that those partition has not been applied. This is the final warning before any changes is make to the hard disk. Click "Write Changes to Disk". 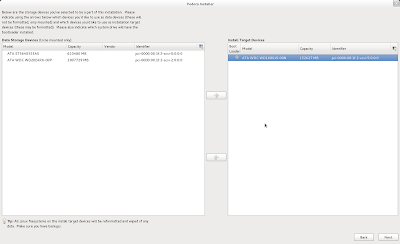 Once the partitions have been created, you have the chance to set password for the boot loader for security purpose. Click "Next". The system starts creating the system partition and copy the system image into the hard disk. This may take a while. Have a cup of coffee or tea. Finally, when the installation is complete, you can reboot the system. After system reboot, you need to perform additional setup. 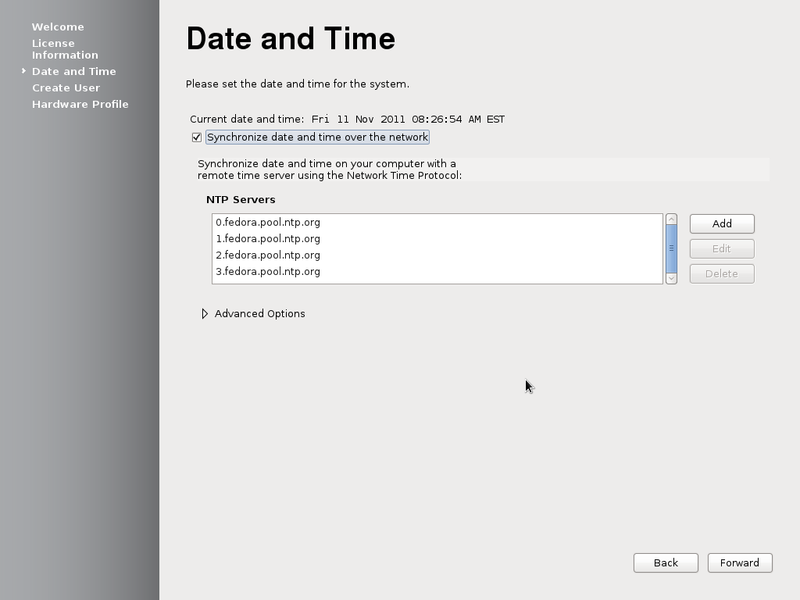 You can choose to synchronize your system clock over the network using NTP. Click Forward after you've made the choice. This is the important part. You need to create a new user. Enter the full name, username and password. Remember to check "Add to Administrators group". 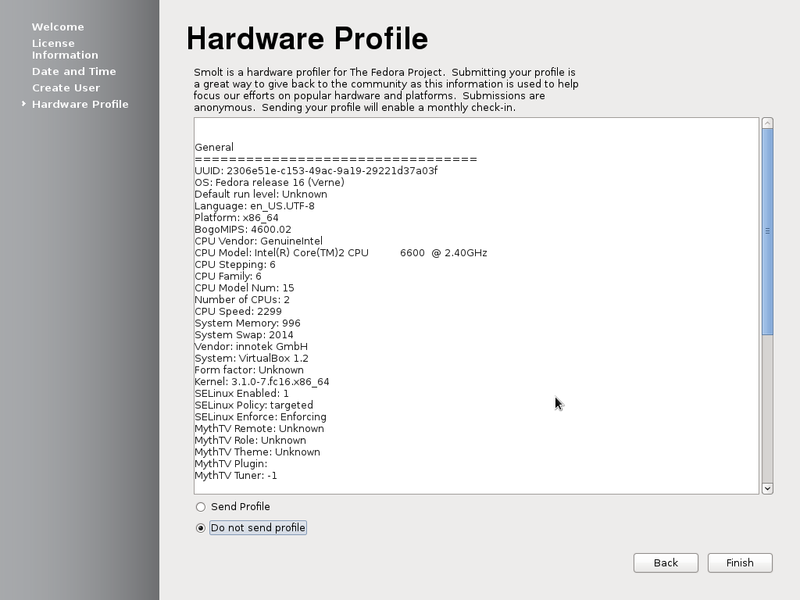 Finally, the system will suggest that you send the hardware profile to Fedora for analysis. Finally the system will prompt you to login. This completes the installation process. Please note that you still need to update the system and perform post installation configuration. Post installation configuration refers to installation and configuration of the necessary software you required. 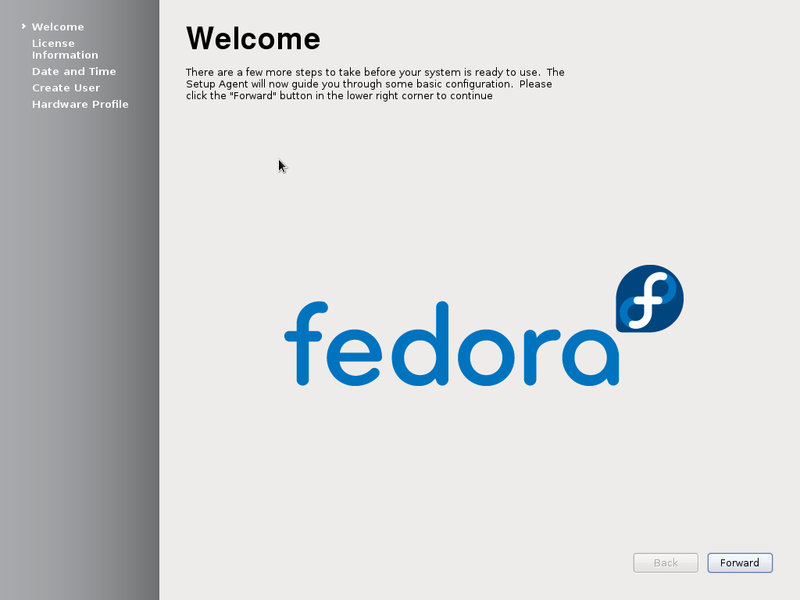 Check out this post Fedora Software Installation and Configuration Guide (Fedora 15/16). 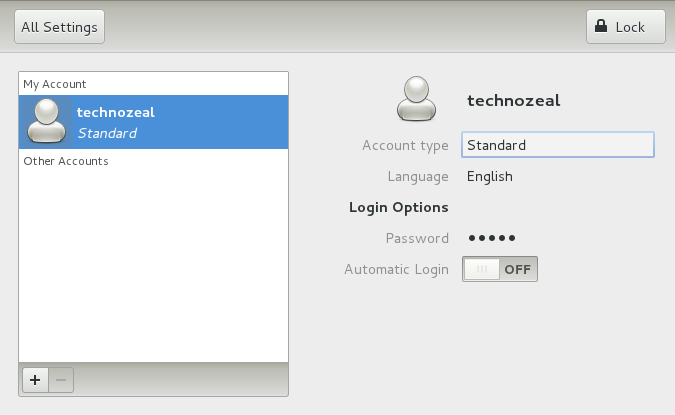 Users of GNOME 3 should notice that if your computer has the suspend capabilities, the system will provide a "Suspend" option in the menu instead of "Shutdown" or "Hibernate" option. After which you might want to log out and log in again for the options to take effects. 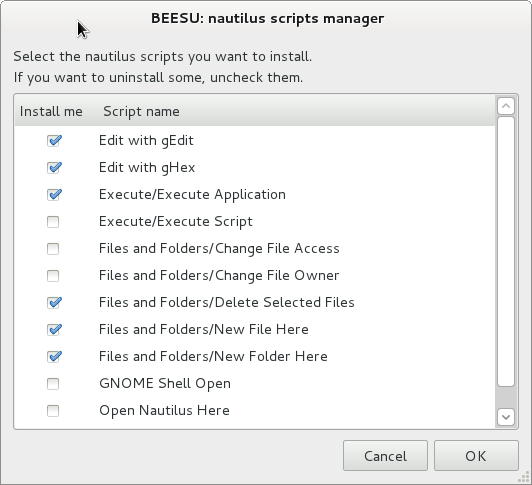 To use Beesu, open Nautilus (Applications >> Accessories >> Files) and navigate to the file or folder you want to manage. Right-Click the mouse, select "Scripts >> beesu" and a list of options which you have configure earlier are available for you to select. Please note that some options worked on folders and some options worked on files while some worked on both. Under your username, select System Settings >> User Accounts (as shown below). Click unlock using root password and change the "Account type" from "Standard" to "Administrator". There are two ways to open Nautilus as root. The first method is to use the sudo command. The second method is to install an utility software called beesu. To use sudo, you need to be in Administrator Group and you need to open Nautilus from a terminal. 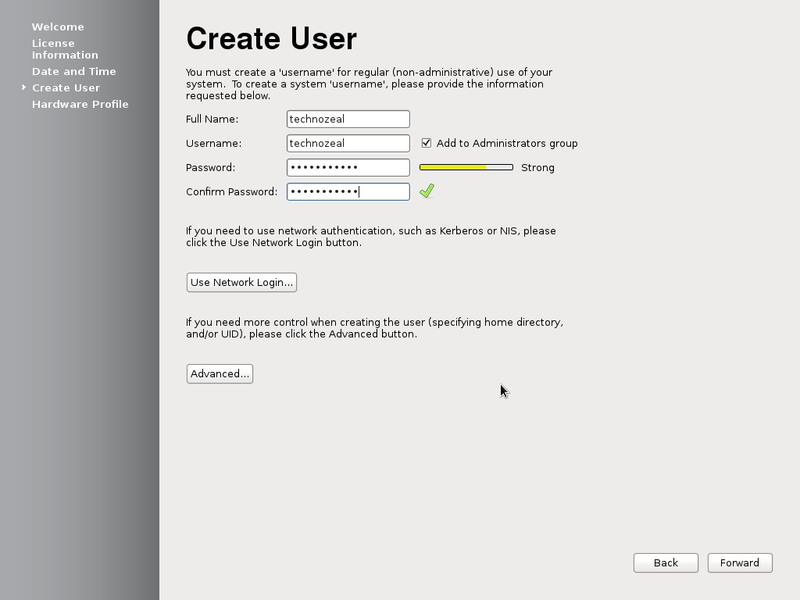 Please refer to instructions on How to Add users to the Administrator Group in Fedora. 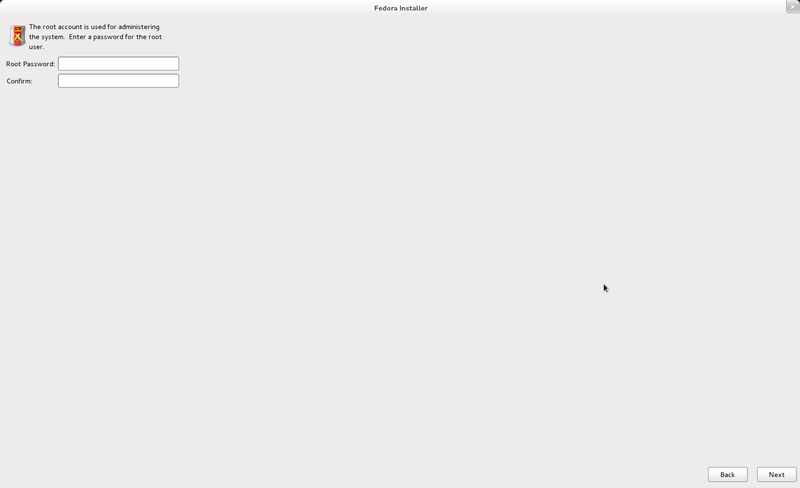 For the second method, refer to this post on Install and Configure Beesu on Fedora. The best method to install Dropbox in Fedora 16 is to configure Dropbox repository and perform a yum install from the system terminal. You can also download a copy from here. Place the file under /etc/yum.repos.d. After installation is done, you need to run Dropbox (Applications >> Internet >> Dropbox) application to complete the installation and configure an user account. You could also download a script file I've created to automate the installation process. 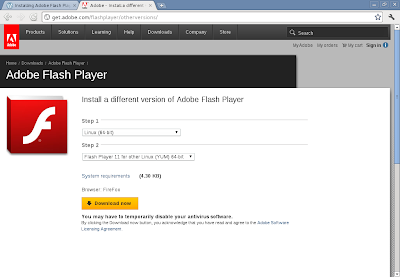 You need to install Adobe Flash Player to play embedded video from YouTube and various websites. 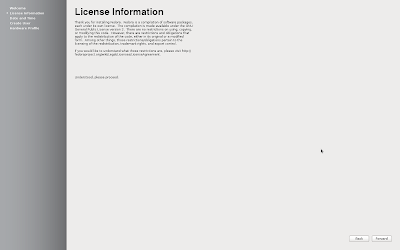 Adobe has made some significant improvement for Linux users. 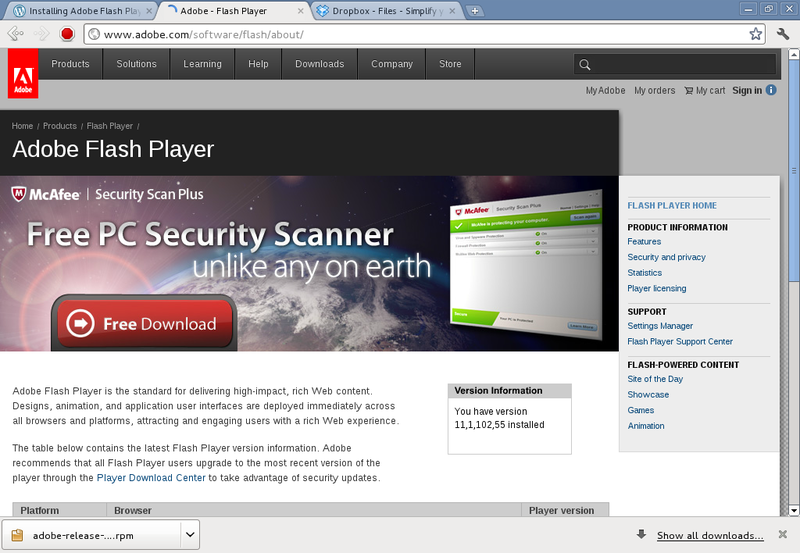 The most important is that Adobe provides a 64-bit version of flash player plugins. This made installation easier. Select "Linux (64-bit)" and then select "Flash Player 11 for other Linux (YUM) 64-bit" as shown below. You will be downloading a file "adobe-release-x86_64-1.0-1.noarch.rpm" into your download folder. The above installation configures the YUM repository so that you could install Flash Player using YUM command. Refresh your browser and go to http://www.adobe.com/software/flash/about to verify your plugins installation. A little box will shown which version you have installed as shown below. Alternative, you can visit http://www.youtube.com to test some of the videos. Surprisingly I did not encounter any problems watching video from Google Chrome. No additional configuration is required. I did not test the 32-bit version since I've installed the 64-bit version of Fedora 16. 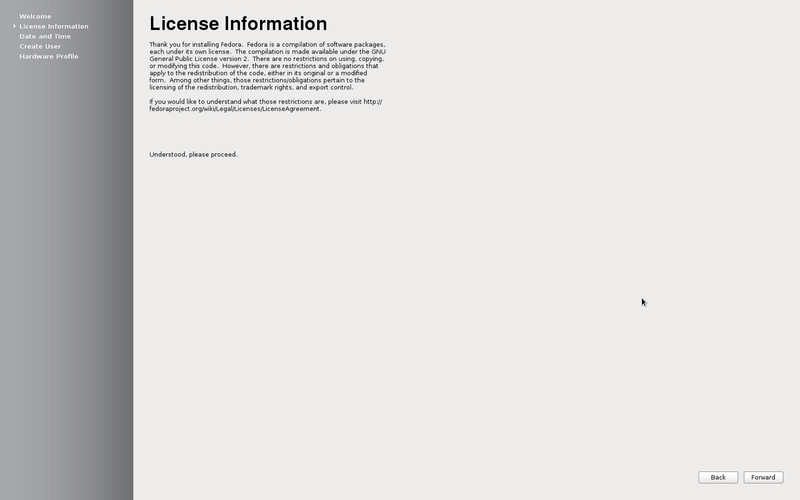 However, I think the installation command is the same except the name of the rpm and repo file. I could not find any official instruction for this installation. I've perform this installation using trial and error together with my previous experience. Please let me know if you encounter any problem. This is the post installation configuration guide for Fedora.This guide is applicable to Fedora 15, Fedora 16 and Fedora 17. 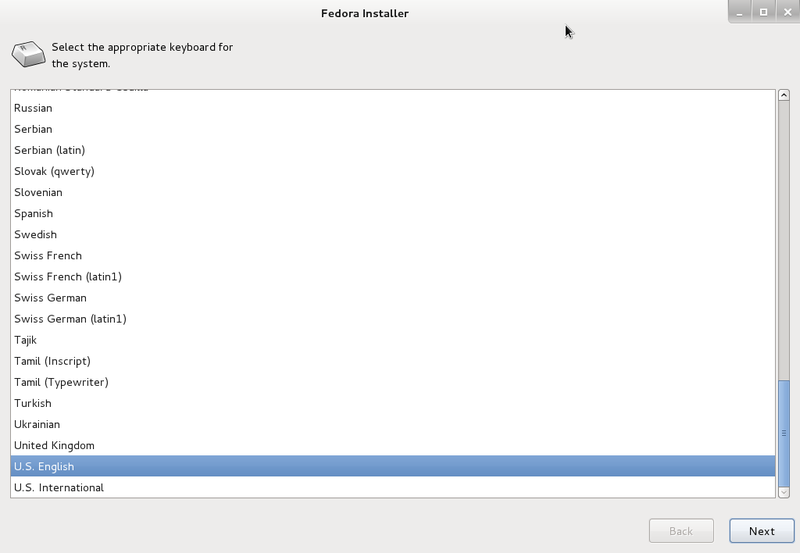 After installation of Fedora operating system, the first thing you need to do is to update the system. You can perform system update by going to Applications >> System Tools >> Software Updates. Some of the essential software applications were preloaded with Fedora. To install new software application, navigate to Applications >> System Tools >> Add/Remove Software. Enter the software package you desire and this utility will search through the software repository for the application you want. You have the option to download and install it. For command line installation, it is recommended to use yum utility instead of rpm utility. You will resort to use rpm utility when the software you required is not in any of the software repository. 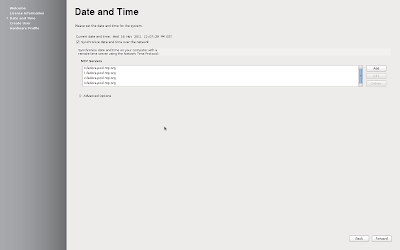 While yum utility automatically connects to the official mirror sites of Fedora to search and retrieve latest software packages, you might want to add additional repositories that provide additional software. Two additional sites are recommended, they are rpmfusion.org and livna.org. Both sites provide additional software relating to media playing, such as playing DvD disc on Fedora. Firefox is preloaded with Fedora but you need to install additional plug-ins and Adobe Flash Player. Please note that Google no longer support Google toolbar for user with Firefox 5 and later. We recommend LibreOffice for productivity software. 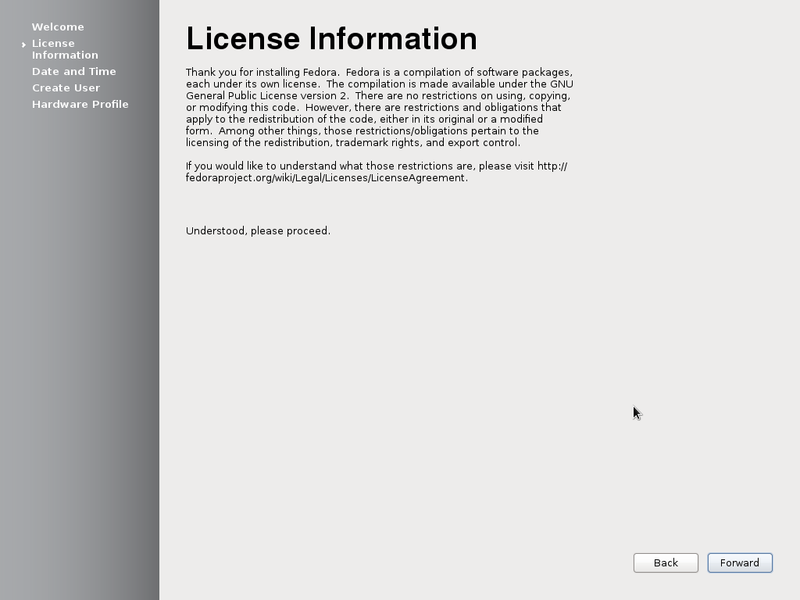 LibreOffice is not included in the “Desktop Edition” disc. To install LibreOffice, go to Applications >> System Tools >> Add/Remove Software. Type libreoffice in the search box and click find. With the list given, select the package you want. PDF writer usually tie to the print function. You just need to use the print function and select PDF writer as the printer. Please search the web if you encounter any problem. echo "Some applications requires further user configuration such as nautilus-beesu-manager"